What's going on in your world? I am happy to say that this evening, I didn't even have to put on my coat after the gym! It was glorious! The snow is starting to melt and I am starting to be able to see around the corners now! So today I am a very VERY long overdue post. This is my Wantable box from January. Things just got backed up and I am now finally able to share it. I had originally been sent a box to review back in November but it was awful. I am happy to say that the return process for Wantable is SUPER easy. I simply logged on to the site and clicked on return and it generated a label. I slapped it on the box and sent it out in the mail. Super easy. If you aren't aware, Wantable is a subscription service and it is $36 a month if you chose the subscription route. You can buy them one at a time for $40. You can also skip a month if you subscribe and you do not want to purchase one that month. You can chose from make up, accessories, intimates and now they offer a fitness box (The fitness box is priced differently). You take a pretty detailed questionnaire and then they select 4-5 full sized products to send you. In theory they are high end products, However, most of them are brands that I have never heard of. Lets take a peek at my selections for January! I received four items in my box: a lip gloss, an eye pencil, an eye shadow brush, and a mascara. I did not take multiple shots of the eyeshadow brush. You can see it here in this group shot. The brand is Au Naturale. It is cruelty free and vegan friendly and retails for $22. This is a basic staple for your brush collection. 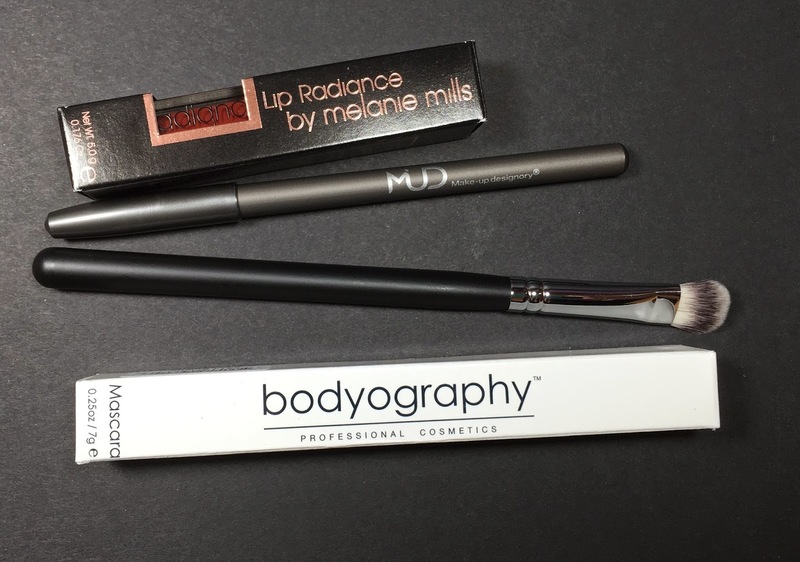 The eye pencil is from Make Up Designory (MUD) in the shade Black Forest. 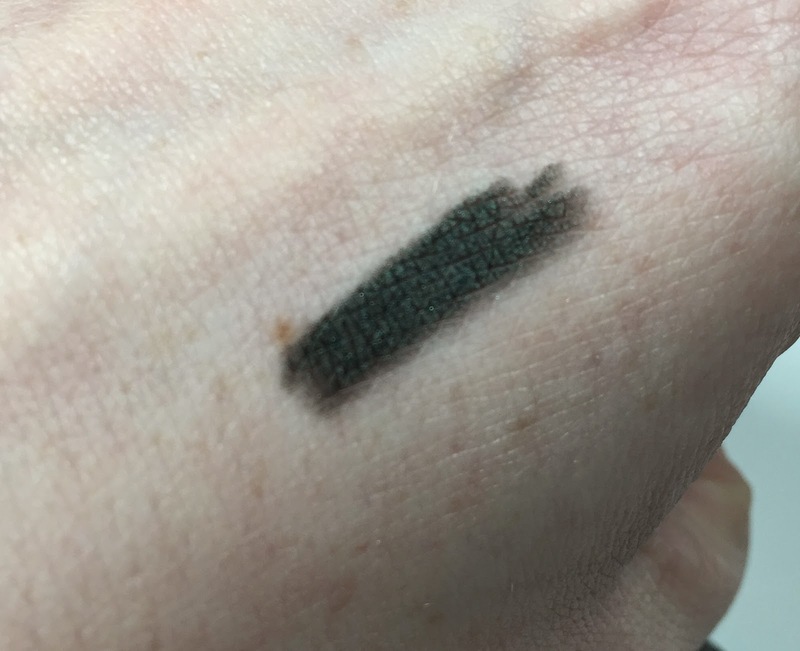 The shade is actually a super dark green-black. 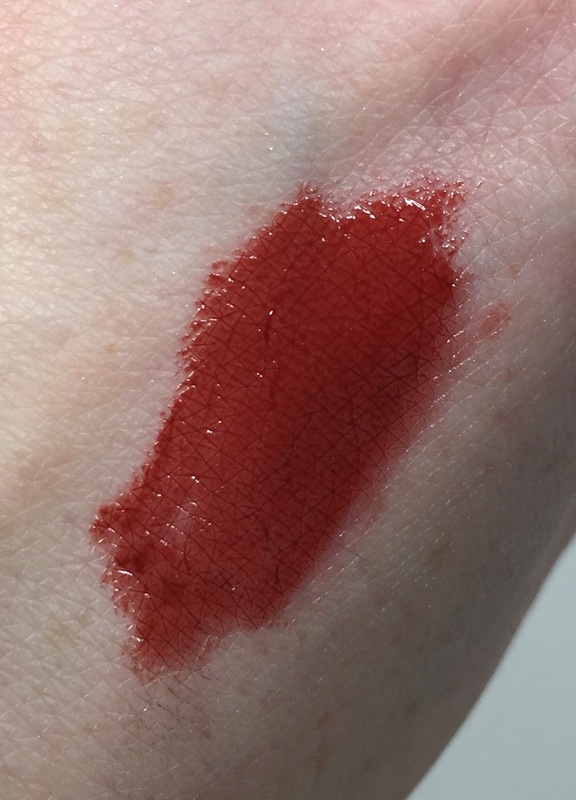 It is a tad bit on the dry side, but it is a nice shade. This retails for $13. The lip gloss is from Gleam by Melanie Mills's Lip Radiance line and it is in the shade Up Against The Wall. It is a deep brick red that actually looks very nice. 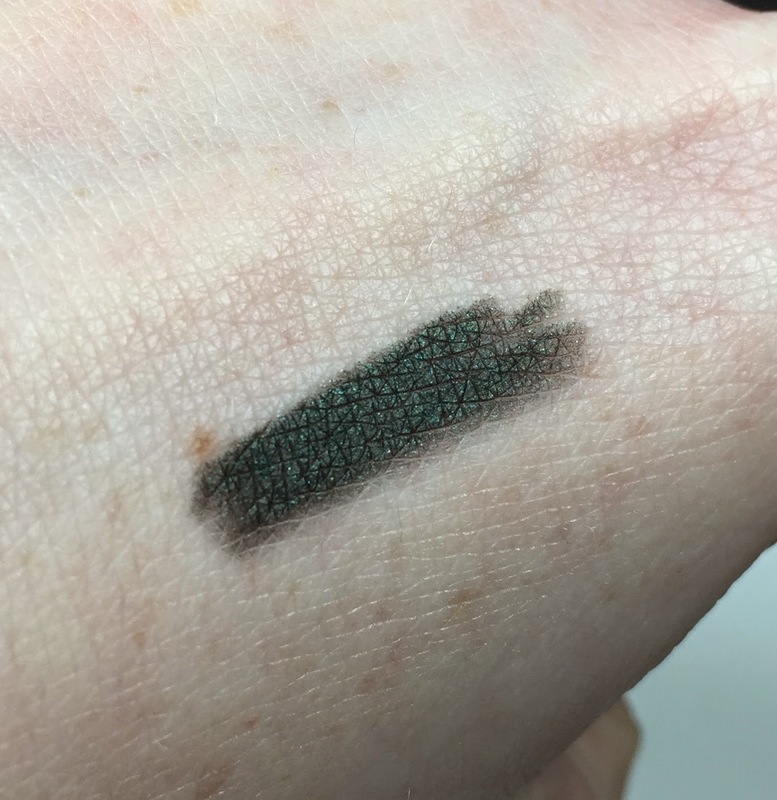 It is highly pigmented and retails for $24. The last make up item I received was a mascara from Bodyography. It is in the color Stiletto and retails for $24. This color is more of a black brown. It is supposed to be enriched with vitamin B5 to keep lashes conditioned. So, what's my verdict on January? It was ok. It included items that I will use, but none of them blew me away. The retail value is well over the cost of the box, so that's good! Not the most exciting box but hopefully the next one will be better.